WASHINGTON — Drivers on a stretch of U.S. Route 1 in Alexandria, Virginia, should get ready to slow down — fast. 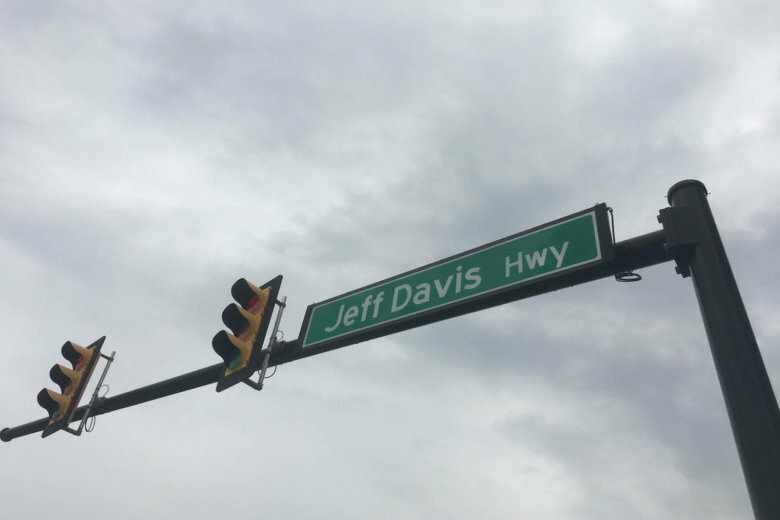 The city announced Friday that they will reduce the speed limit on Route 1 between Slaters Lane and Four Mile Run — the Jefferson Davis Highway portion — from 35 mph to 25 mph starting Monday. The area is near Potomac Yard. The city said in a statement that the change is a safety move. Between 2015 and 2017, 25 people were hurt, three seriously, in 106 crashes on the stretch of road where the speed limit is about to change, they said. After recent speed limit reductions on King Street, Seminary Road and Quaker Lane, the average annual number of crashes fell by 53 percent, 40 percent and 33 percent respectively, the city said. The speed limit change is part of Alexandria’s Vision Zero Action Plan, aimed at eliminating traffic deaths in the city by 2028.